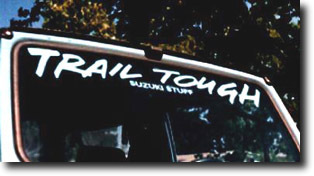 Trail Tough’s cool die cut windshield decals. Available in a variety of colors. Welcome aboard!